With a turnover of approximately € 13,488 million in 2010, few would disagree that Air Liquide is one of the most significant companies in the world. They are regarded as world leader when it comes to gases for industry, the environment and health and with around 45,000 employees that form part of the company, we don’t need to say much else about their size. The main company was formed in 1902, but fifteen years later in 1917 Air Liquide Tunisia was born. This is based over the likes of Charguia, Sousse, Ben Arous and Sfax, with almost 200 people forming part of it. The main aim of the Tunisian arm of the business is to produce air gases, CO2 and hydrogen, meaning that it doesn’t quite cover all of the different industries that Air Liquide has become renowned for over history. To showcase exactly what Air Liquide is all about, and just why it is such a message to have a Tunisian arm of the company, we have put together this guide. We will now take a look at the history of the company, what industries they are primarily focusing on as well as the various subsidies that form part of it. To say that Air Liquide benefits from an extensive history would be a gross understatement. It was all the way back in 1902 when they were founded, when Georges Claude and Paul Delorme both developed a process which involved liquefying air in a bid to separate the components. Suffice to say, as soon as the first drops of liquid air emerged, the name of the company followed this. It was also decided at this time that Delorme would become the president of the company. Four years later and Air Liquide really was making huge developments in its industry. It’s worth remembering that back then, international expansion was much more difficult than it is now. Despite this, they started operating in Belgium and Italy, before then progressing to the likes of Canada, Japan and Hong Kong. Unsurprisingly, it wasn’t long before the business started to grab more headlines. This came in the form of the Paris Bourse, which it joined in 1913. It was twenty five years later when their next major development occurred, following the acquisition of La oxígena S.A. in Argentina. Something that’s particular interesting about Air Liquide is an event from 1943. For the underwater film Shipwrecks, two scuba set prototypes were required. Air Liquide were the company charged to manufacturer these and they happened to become the first ever modern diving regulators. This event meant that the formation of La Spirotechnique in 1946 was of no surprise – with this a completely separate division designed to develop commercial regulators and diving equipment. In the very same year, the famous CG45 (the first commercial regulator) was developed and this coincides with a huge upturn in popularity of scuba diving. From this point on, it would be fair to say that diversification proved a key part of the business. For example, in 1957 they started to make considerable strides in networking pipes, with the goal of irrigating some of the biggest industrial areas in the world. Then, in 1962 there was the company’s space adventure – and this perhaps again highlights that Air Liquide was never going to just concentrate in just one area of business. Yet another area they diversified into was healthcare. This mainly involved gas supply medical equipment and services, with these firstly starting out at hospitals before then progressing to patient’s homes. From this point on, or in the late 90s to be precise, there have been some major acquisitions on behalf of the company. For example, in 1996 they acquired Schuelke and Mayr in Germany. Then, there were the likes of Messer Griesheim in several countries including Brazil, Trinidad and Tobago and Argentina. Linde Gas, Lurgi and Scott Speciality Gases were some other firms to be acquired and ultimately, help make Air Liquide the powerhouse that they are today. As we have just spoken about, there has been a lot of diversification in the history of Air Liquide. Something that they have just started to move into is hydrogen production. For example, between the years of 2005 and 2008 the company increased its production of this gas by more than 50%. By the end of this period, Air Liquide entered an agreement with Neste Oil’s Renewable Diesel Plant – with the aim of supplying hydrogen. The company are planning to build a unit on Jurong Island, before establishing a piped network that can supply companies in the region. There are presently a couple of subsides of Air Liquide. The first comes in the form of Aqua Lung/La Spirotechnique. This is a French company, who have become known over the years for manufacturing scuba gear equipment (including breathing equipment). Something it is particularly famous for are the Aqua-Lung regulators, including the CG45 (launched in 1945) and the Mistral (launched in 1955). This, as we highlighted previously, was a core part of the history of Air Liquide. 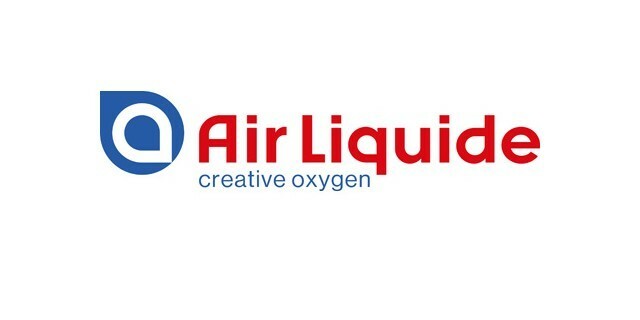 Another subsidy of Air Liquide is Air Liquide Global E&C Solutions Germany GmbH, which previously operated under the name of Lurgi GmbH. This company is based in Frankfurt, in Germany, and is based around engineering, construction and chemical process licensing. They are only a recent part of Air Liquide’s history, having become part of the company in 2007. However, their own history goes much further back, with the company initially established by Wilhelm Merton back in 1881. Their initial success came from the steam and absorption industries, towards the end of World War I, before they eventually tried to diversify. Such diversification has included various acquisitions, including Zimmer AG, while there are also examples of them selling off parts of their business such as their metallurgical division (Lurgi Metallurgie) in 2001.